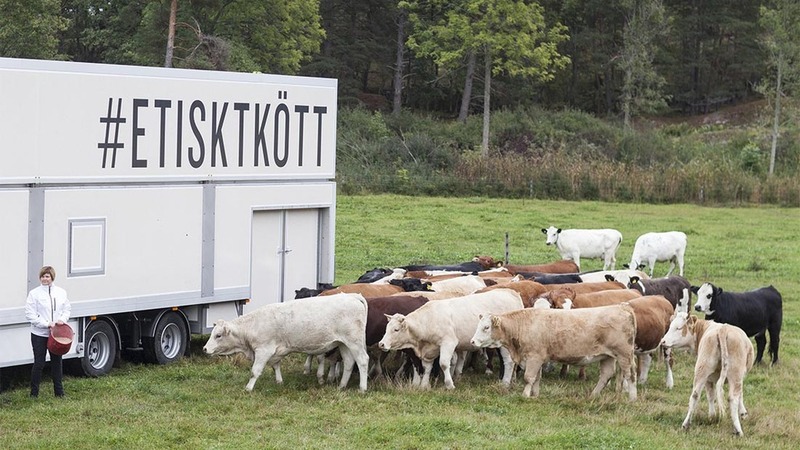 Swedish company Hälsingestintan is aiming to help improve animal welfare and meat quality in France, by introducing Europe’s first mobile abattoir for beef cattle to the French meat industry. The company’s approach to meat production eliminates all slaughter transportation as the cattle are slaughtered on the farm, thus claiming to improve the animal’s welfare by removing the stress of leaving their home environment. The concept also includes a digital chain of custody, informing the customer exactly which farm the animal has come from. France is the first foreign market to adopt the idea, where consumers have been protesting against poor animal husbandry in the meat industry for some time. Hälsingestintan and French company SAS Boeuf Ethique are entering into a several-year agreement, whereby Hälsingestintan will transfer its knowledge of animal welfare, mobile slaughter and traceability. The goal is to have the concept established in France during 2017. Britt-Marie Stegs, founder of Hälsingestintan, sees the new agreement as a step in the right direction by spreading knowledge of more ethical, sustainable meat production on an international scale.